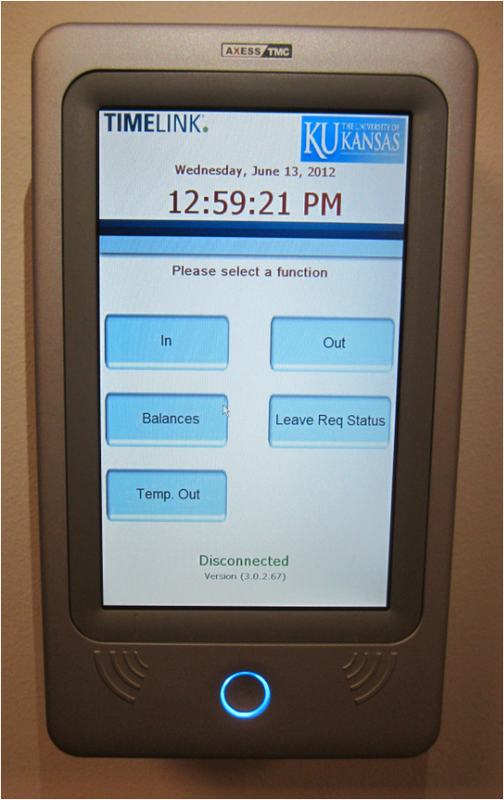 Time Collection Devices (TCDs) are installed across campus and are integrated into the HR/Pay system, making electronic time reporting accurate and easy. TCDs are used mainly by Campus Operations non-exempt (hourly) employees who are eligible for premium pay, including call-in/call-back, shift differential, and stand-by pay and all temporary hourly employees (including students). TCDs are conveniently located across campus. The Proximity Time Collection Device uses a proximity card and are scheduled to be phased out and possibly replaced. Hourly employees assigned to a TCD also have access to the Web Clock accessed in HR/Pay or via Mobile HR/Pay. Any method or combination of methods may be used for clocking-in and out as well as clocking-out and in for meals and personal appointments. Employees do not clock-out for paid breaks. To find the device closest to your work location, please visit Time Collection Device Locations. For more information about TCDs, please review the FAQs for Time Collection Devices.